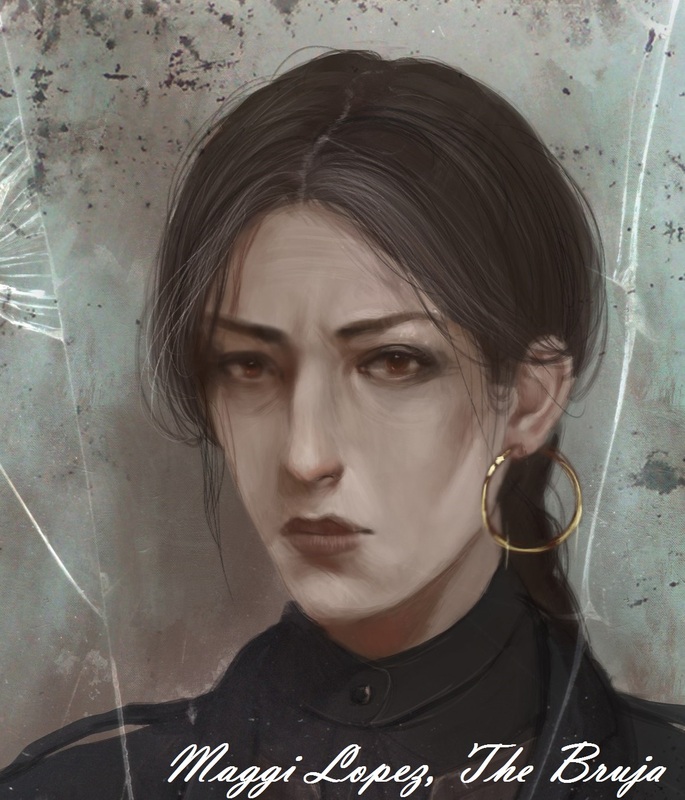 Most of you are familiar with Nan Fe, the cover artist for "The Bruja," "Mayhem," and forthcoming books I've written. She's an amazing person and one of the most talented modern artists out there - period! Well, this week Jay Kristoff announced a new book series, forthcoming in 2020. He also announced that Nan Fe will be illustrating this new trilogy. She had painted some fan art previously and gotten onto Jay's radar over the last few months. Jay Kristoff is also the #1 international, New York Times and USA Today bestselling author of LIFEL1K3, THE NEVERNIGHT CHRONICLE and THE ILLUMINAE FILES. I can't be happier for Nan Fe. She is unequivocally the best artist I've ever worked with. She deserves fame and fortune. 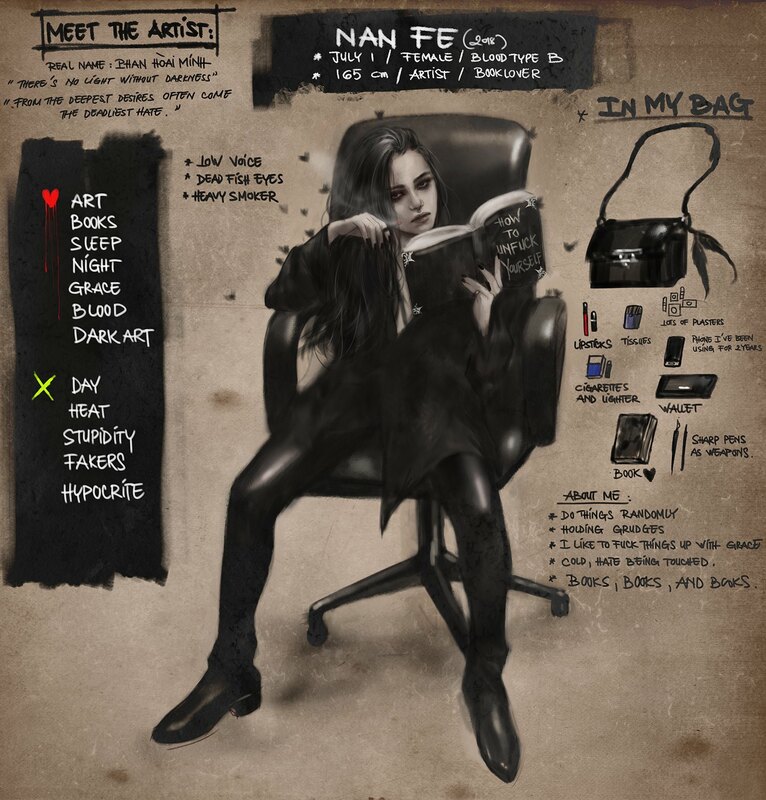 I also think she's a role model for any other artists out there -- check out her DeviantArt page and see what I mean. She works tirelessly, creating new art every day. She paints with several different mediums, forces herself to learn new tools, and takes complex commissions which may be outside of her comfort zone. When I look at how hard she works, I'm inspired to step it up a notch as an author. Maybe I'm really tired after a long day - maybe I want to take the evening off? Nope! Nan Fe wouldn't, and neither will I.
I'm proud that she painted three covers for my books. I think she has captured exactly what the world of Collapse & Veilfall look like. What it feels like. This is a dark, and even gruesome place that manifests wonder and beauty in strange ways. No other artist has understood this the way Nan Fe has. 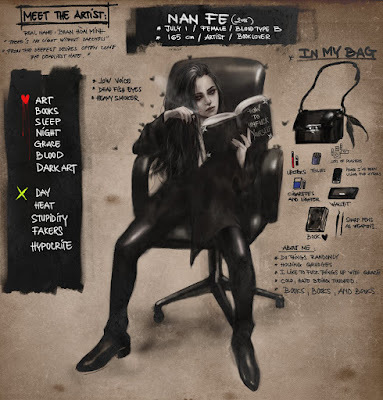 You should follow Nan Fe on Twitter, Instagram, Facebook, and DeviantArt. If you've never read Jay Kristoff's books, you should head over to Amazon NOW and buy them all. He's a great author, and frankly, if you like my work -- you'll love his.